Collective Blog: Ending poverty – drama or whimper? Ending poverty – drama or whimper? The first sustainable development goal (SDG1) is dramatic: “end poverty in all its forms everywhere” by 2030. Is it even a logical possibility? Have learned economic philosophers not pondered over the relative nature of poverty – which means that no matter how well off everyone is, some will be poorer, and poverty is about those who are poorer. Perhaps because the “ending poverty” wish is so fantastic it has been helpfully broken down into more tractable targets: ensure that no one lives on less than $1.25 a day. This idea owes its origins to a debate about global poverty lines – or levels of income below which a person is considered to be poor. And if the $1.25 a day target seems too rigid then there is the more achievable goal to “reduce by half the proportion of men, women and children of all ages living in poverty in all its dimensions according to national definitions.” This gives quite a lot of leeway to national governments to come up with their own definitions of poverty reduction and then to try and achieve them. Then there are other less easily verifiable sub-goals which relate to process: implement social protection systems for all, ensure equal rights to economic resources, and build the resilience of the poor to climate change events. Most governments can say that they are already doing these things. Pakistan can point to the Benazir Income Support Programme (BISP) as its social protection system, claim that its constitution guarantees equal rights to economic resources, and wait for the next climate change event to happen before saying anything about building resilience while it launches an appeal for funds. And finally SDG1 which starts with the bang of “end poverty” ends with a whimper about conditions such as the mobilisation of resources, and building sound policy frameworks which are virtually impossible to monitor. Everyone believes they try to mobilise the resources and have sound policy frameworks. A mixed bag of the virtually unachievable and the already done! What is the point of it all? Why does the UN system produce such goals and why do governments sign to up them? There is a story about international politics and responsibility, about wealthy countries wanting to appear to do the right thing by development and poverty, and poor countries wanting to feel included. Once the UN system had adopted the Millennium Development Goals (MDGs) with such fanfare as a showcase of a global social contract, it really had to come up with a follow-up act. Cynical as it sounds, what good can be extracted from this box of magic tricks for the likes of us? 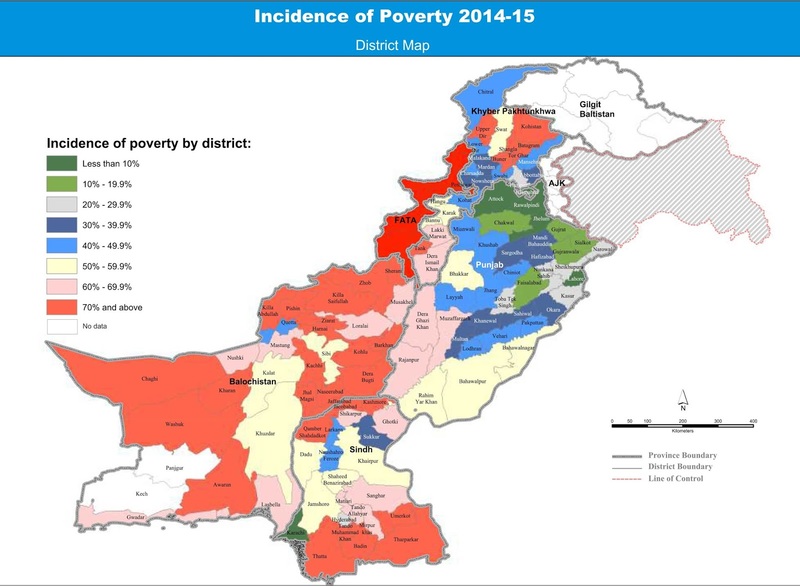 For those who are actually interested in poverty reduction in Pakistan. Quite a lot, as it happens, if we chose to act thoughtfully. Since our government has signed up to SDG1 we can quite reasonably ask it to adopt the equivalent of $1.25 per person a day as an official poverty line. This can put an end to a paralysing debate about the new poverty line. We can also use the SDGs to push for a quick consensus on ways of measuring “poverty in all its dimensions according to national definitions”. There is now a solid argument for mainstreaming these indicators into national policies and plans. After all, our government has signed up to it. There is also much that can be done with process-related goals in SDG1. Any weakening of political commitment to the BISP (or a large scale cash transfer programme) can now be confronted with the argument that the government has willingly signed up to expanding social protection not reducing it. The commitment to equal rights to economic resources provide the basis for the most sophisticated demand-making on the part of those who argue for a more political understanding of poverty reduction. How do you ensure equal rights to economic resources in a highly unequal society whose economic system is based on private property rights, and where publicly-owned economic resources are mostly doled out to various elites? By highlighting and talking about these very contradictions. Yes, signing up to equal rights to economic resources creates the possibility of arguing once again for land reforms, despite what our courts have said about them. It also opens the window to demand the repeal of discriminatory laws and legal practices which exist despite our constitution – laws such as the Punjab Land Alienation Act and practices such as benami holdings. The former divides the rural society of our largest province society into higher status agricultural tribes and the lower status non-agricultural tribes whose economic rights are circumscribed. The latter (benami) is often used to limit women’s rights to property. These are just some of the laws and conventions which exist all across Pakistan in favour of incumbent property owners over the non-propertied classes. Then there is the potentially explosive but possibly negotiable issue of rights to natural resources – most of which happen to be located in the poorest and politically alienated regions of the country. The SDGs were borne out of politics and their best use in countries such as Pakistan is political – to create the space for legal, political and policy changes which we know will lead to poverty reduction. The dramatic promise of SDG1 can quite easily fade into a whimper, but it also gives the committed campaigner a peg for asking difficult questions. Make of it what you will!